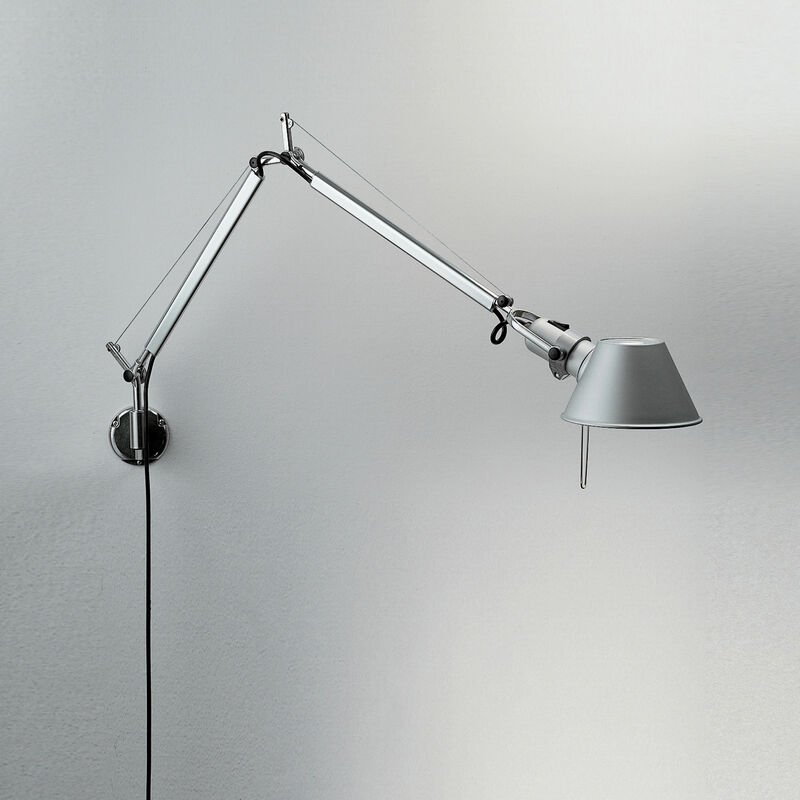 Micro version of Artemide’s bestseller, famous Tolomeo. This LED variation combines long-life quality lighting with economic energy consumption. Thanks to the LED technology, this lamp provides intense but warm, non-dazzling light. This wall light designed by Michele de Lucci is not only elegant but ultra practical, too, thanks to its articulated arms and diffuser rotating in all directions. Wall support and articulated arms are made of polished aluminium; diffuser is made in anodised aluminium. Each component was carefully worked; the joints are made of bright aluminium. A balance system of springs guarantees perfect stability.